This article was written by Khyati Tripathi, a Commonwealth split-site PhD scholar from the Department of Psychology, University of Delhi, India and pursing a year of her PhD in the Department of Psychosocial Studies at Birkbeck under the supervision of Professor Stephen Frosh. Khyati has been selected for Cumberland Lodge’s Emerging International Leaders Programme on Freedom of Religion or Belief. Through my PhD project, I am trying to understand how varied social constructions of dead bodies lead to different conceptualizations of death in a culture with a special focus on mortuary techniques (embalmment per se). 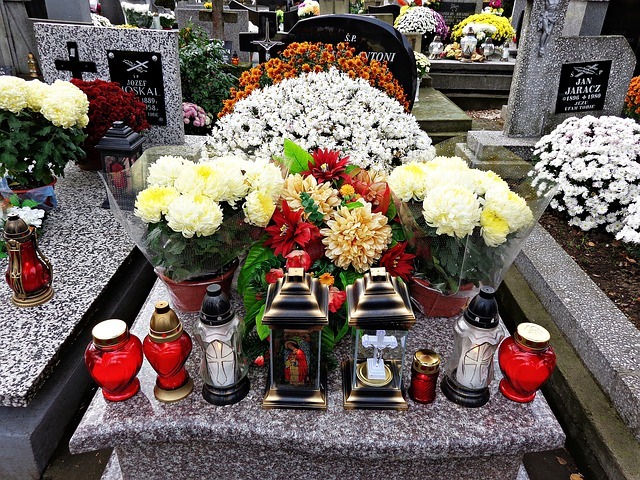 Death is more than just a biological fact; it is also a social phenomenon. A dead body is the carrier of the social meanings that a culture attaches to death. Each culture has a different lens to look at the bodies whether it be male bodies, female bodies or dead bodies. Through my research I want to know how these cultural lenses differ by drawing a cross-cultural comparison between Delhi (India) and London (UK). As a curious researcher, I have always been intrigued by the untouched complexes of human existence and death is one of them. This interest is closely tied with my experience of losing a friend in an accident when I was 14 and since then I have been on an ongoing quest to ‘know death’. I have been working in the area of death and related themes for eight years now and this journey started with my first project in the final year of my undergraduate degree, which focused on the impact of physical health on death anxiety, where I worked with terminally ill (cancer patients), chronically ill and healthy individuals. A second research project that soon followed studied death personification i.e. how would people perceive death as a human or a person? A third analyzed the death rituals of three religions- Hinduism, Islam and Christianity and a fourth was an ethnographic study to explore experiences of Hindu death priests of north India. I have had many different experiences working on these projects. I remember sitting in the waiting area of the hospital where I had to meet cancer patients for my first project and not wanting to go inside thinking ‘I cannot do this’. I had presumed that none of the patients would want to talk to me about death and I would out rightly be rejected and dismissed. Gathering strength, I went inside the ward where I could see at least 15 beds. I took a right and approached the corner most one. There sat a 73-year-old man reading a newspaper. I greeted him and explained to him the purpose and objectives of my study. He replied saying, “of course, ask me whatever you want” while signing the informed consent. My interaction with him lasted almost six hours. My first ever participant made me realize that as a researcher you need to have no notions and assumptions about your field. There were quite a few patients who wanted to talk about death with me because they did not want to talk about it with their family members. I can’t say that I was never rejected, I was – a lot and I accepted all rejections with respect. I knew that I was working in a sensitive research area and needed to be receptive. I am asked a lot if working in this area makes me ‘depressed’. I would say no, it doesn’t but it does make me ask questions about our existence as humans. It gets overwhelming a lot of times and I distance myself when I feel saturated. My parents have been my pillars of strength. They supported me in each and every endeavor of mine and have given me the emotional care, support and motivation that I needed to continue. I believe that life is a mystery that unfolds gradually but death is a bigger mystery because it is uncertain and this uncertainty and unpredictability about death make people anxious. Through my research, I want to study different aspects of death (ritual-based, culture-based, etc.) and contribute to the field of ‘Death Education’ in India and elsewhere. Category: Social Sciences History and Philosophy Tags: belief, culture, death, dying, embalming, India, religion by Bryony. This sounds like a fascinating study on such a sensitive area. Thanks for sharing. Hello Khyati, I am as intrigued as you are about death. I lost my son last month and have also experienced a lot of fascination about not just how his death has affected me, but how people have reacted to it. He is my second son to be lost to the cold hands of death (that’s me personifying death as you pointed out in your write-up). There have been very varied reactions to his death by family and friends. Some have been very warm and comforting and many have been ostracising. I agree that all the uncertainty surrounding death makes people very anxious. But it is interesting how the selfish need for self preservation take over the human need to condole and console the bereaved. On the other hand, I have also been fascinated by my conscious and deliberate need to cut off from interactions where I have otherwise provided support as my son’s death makes me a constant reminder to these category of people about the possible outcome for their own children suffering at the hands of the same disease that finally claimed my son’s little life. I find it interesting that the mantras I recite for my sanity make my company no longer suitable for them. I say things like “now he is at peace, free of pain” and it triggers discomfort in people whose children otherwise live in the pain caused by disease. They say things like, “At least my child is still alive” and I miss my child even more and yearn for him. In love, I have curled away from them in response to all our different levels of pain. I am so sorry for your loss. I feel you right now. Everyone has his or her own ways of coping with Death. Just a thought of losing a significant other is enough to make us anxious. It becomes important for us as humans to find reasons for everything including death because only ‘we’ can answer questions that perturb us and no one else can do it for us. There are people I have lost and there are people I am scared to loose and both of these experiences, though tied with death, are very different from each other and thus generate different reactions. However, in GCSNHST, we have designed M.I.D.A.S. ( Mortality Information Data Analysis System ) – in which the patient’s journey from admission to death is analysed and learning points derived to be shared with the next of kin, within our organisation and other healthcare providers to improve the quality of care we provide. Death need not be “medicalised” in all cases, but, for the healthcare professions, it does give a profound opportunity to see what contributions health professionals did or did not make to that particular person on his/her journey to that undiscovered country. Thank you so much for your comment. M. I. D. A. S, of course sounds very interesting. I would surely like to know more about it. Hi Khyati- apologies, I have only now seen your reply.’I am back at Birkbeck next month. I’d be happy to discuss MIDAS with you then. All the best. Amazing study, wish you all the best.